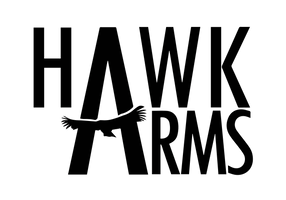 At Hawk Arms, we specialize in providing the highest quality firearms and accessories that the industry has to offer. We have partnered with Salient Arms International as their exclusive dealer in the Tulsa area. Along with Salient, we are a premium Wilson Combat dealer offering their full line in addition to stocking a large variety of their products. We believe that great customer service is what sets our company apart from other dealers. If there is a firearm you are looking for, we will do everything we can to get that for you. All you have to do is ask. Thank you for visiting the site and we hope to see you again soon! We will ship firearms to any valid Federal Firearms Licensed dealer within the Continental United States. We do not ship any product to Canada or any other location OCONUS. Each customer and their respective FFL are responsible for the local laws and regulations regarding firearms in their state. If an individual purchases a firearm, accessory, or knife from a state that Hawk Arms LLC cannot ship to, or if an individual purchases a firearm, accessory, or knife from outside the United States, or if an individual purchases a firearm and does not provide a valid FFL for shipment, that individual will be responsible for an 8% restocking fee at the time of refund. We do not accept any returns on firearms, accessories, or knives. All sales are final.